Italy's governing coalition is deeply divided over whether money for a new, multi-billion euro rail link with France would be better spent elsewhere. Hard at work on Italy's new high-speed rail link with France but it's the political sparks dominating headlines and risking a government collapse. 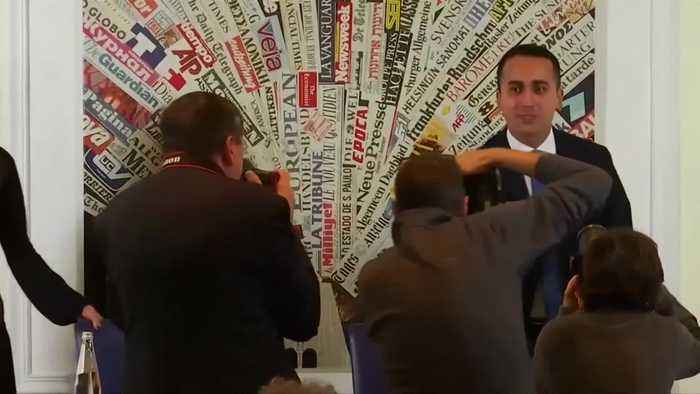 Coalition partner, 5-Star's leader Luigi Di Maio has argued the multi-billion euro project is a waste of money. Money he says would be better spent upgrading existing roads and bridges. That's a view rejected by his opposite number, League leader Matteo Salvini. Who on Friday said his party would never vote to block the project. Salvini's been accused by Di Maio of wanting to 'bring down the government', as for the government's leader: (SOUNDBITE) (Italian) ITALIAN PRIME MINISTER GIUSEPPE CONTE SAYING: "Personally after I have studied everything, after I have looked at it closely in every aspect, I am not at all convinced that this infrastructure project is something that Italy needs. It is a project that was started ten years ago, it is a project that if it came up today I would have no doubt but to stop it from happening." Conte says the government's not about to collapse but has called for a review of how funding for the project is split. Currently, three ways, with the EU pledging up to 40 percent of costs, Italy up to 35 and France up to 25 percent. 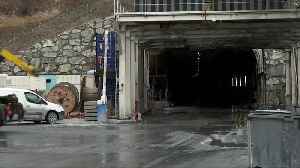 The 'TAV' is a joint Franco-Italian venture to link Turin and Lyon via a 58-km tunnel through the Alps. A report commissioned by Transport Minister Daniel Toninelli, a 5-Star politician, puts the total price tag at more than 20 billion euros. And says the economic return would be a negative balance of over 7 billion euros. Italy&apos;s governing coalition is deeply divided over whether money for a new, multi-billion euro rail link with France would be better spent elsewhere. David Pollard reports.